During the process of trying to understand the internals of Cheese and together with Dave, we created a diagram that I rewrote in dot language and which I think will be very useful for all of those who want to start contributing to the project or are simply curious about it. It took us some time to put the pieces together, but here is the result! 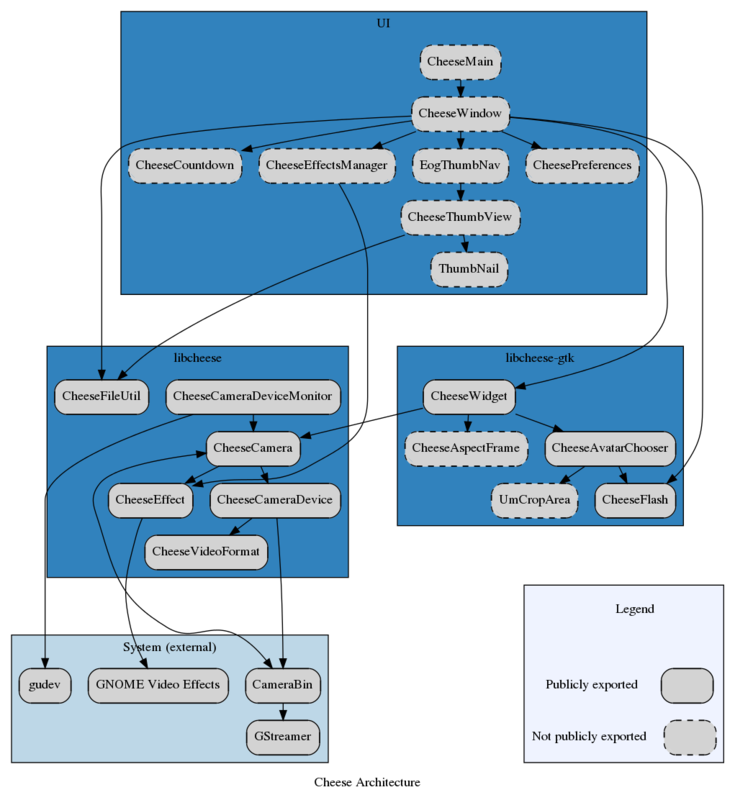 Did I mention before that I love Graphviz? It is so, but on this occasion it took me a while to get the layout and the legend the way that I wanted. In order to reorder the subgraphs (each of the external boxes: UI, libcheese, libcheese_gtk, System and Legend), I needed to create some transparent nodes and connections to lie to the rank system that dot uses. You can check out the code on my GitHub repository for more details. The diagram will be available as part of the Cheese documentation for the next 3.3.2 release, coming out next Monday the 21st of November.